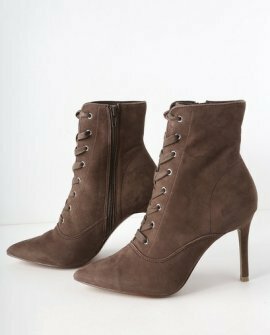 All eyes will be on you when you strut by in the Steve Madden Jinx Taupe Suede Leather Lace-Up High Heel Booties! 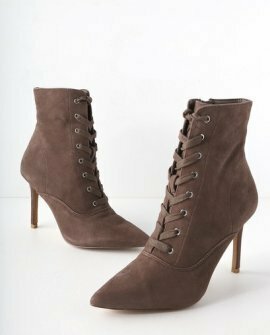 Soft genuine suede shapes a pointed toe upper, with lace-up ties that thread through gunmetal silver. 7" zipper at instep makes for easy off and on.